GOOOAAL!! Perfect for dogs of all sizes! This dog proof soccer ball lets you keep your eyes on the real goal - having fun with your pup! 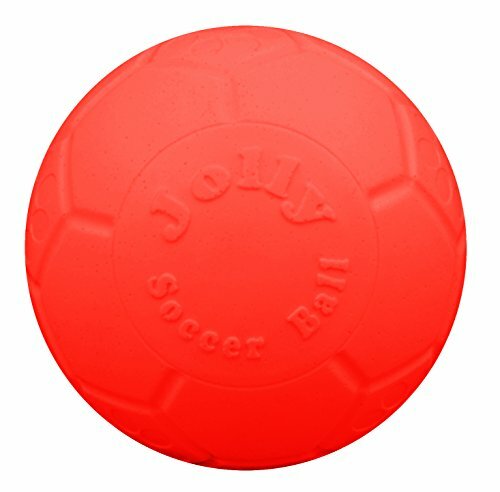 Made of Jolly Flex material, this ball can be punctured and will not deflate. Even if your dog puts a hole in it, this toy will still keep its shape. If you have any questions about this product by Jolly Pets, contact us by completing and submitting the form below. If you are looking for a specif part number, please include it with your message.